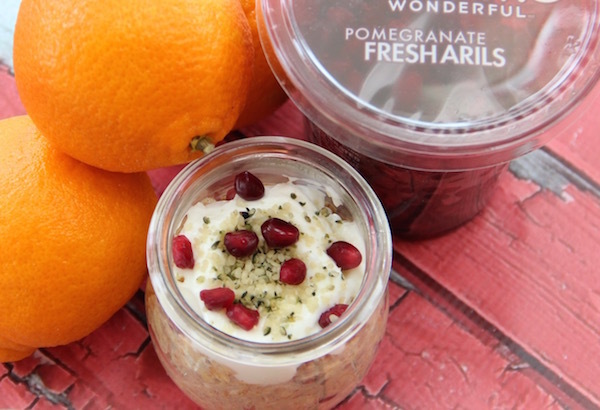 Recipes for overnight oats are everywhere and they could not be easier! My daughter loves oatmeal in the morning and the fact that this can be prepped the night before for her to reheat quickly or eat cold made it a perfect recipe choice. Mornings can get pretty hectic around here and it really helps knowing that breakfast is already prepared and ready to go. My daughter nicknamed them sunshine oats given the addition of orange juice and orange zest. Overnight oats are simply oats that are soaked overnight in any liquid you would like – juices, milk, yogurt or a combination. Toppings and mix-in options are endless – toasted coconut, raisins, seeds, nuts … you name it! We love mixing the recipe in a large bowl then dividing the mixture among little Weck jars. This particular recipe uses hemp hearts. If you have never used or heard of hemp hearts before, you must! They provide a rich nutty flavor and tender crunch and can be sprinkled on top of yogurts, cereals, salads and baked goods. Hemp hearts are the raw edible insides of hemp seeds and are a high-quality source of plant-based protein and omega fatty acids. In fact, a single serving of hemp seeds (about two heaping tablespoons), provides 10 grams of protein and 10 grams of omegas. Hemp hearts are an excellent source of protein and omega fatty acids. Oats contain a good amount of protein, are high in fiber, and rich in thiamine, folate, B5, iron, magnesium, zinc, copper, and manganese.. 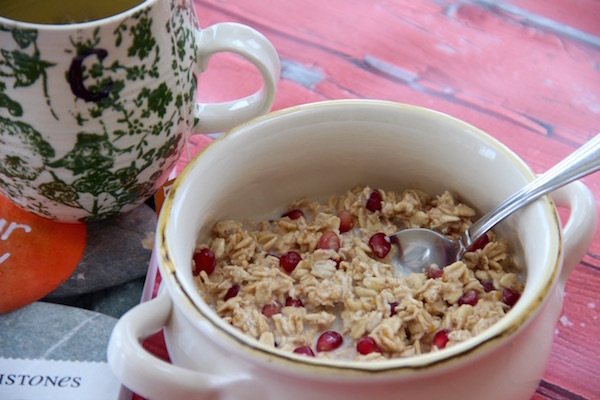 Perk up any morning with this easy, healthy and delicious overnight oat recipe. 1. Mix all of the ingredients together in a medium sized bowl and either divide the mixture evenly among small jars or simply keep in the bowl and refrigerate overnight or for at least 6 hours. 2. When you are ready to eat, remove the jars or bowl from the refrigerator and top the oats with any toppings of your choice. 3. The oats can be eaten cold or warmed in the microwave for 30 - 60 seconds. 4. 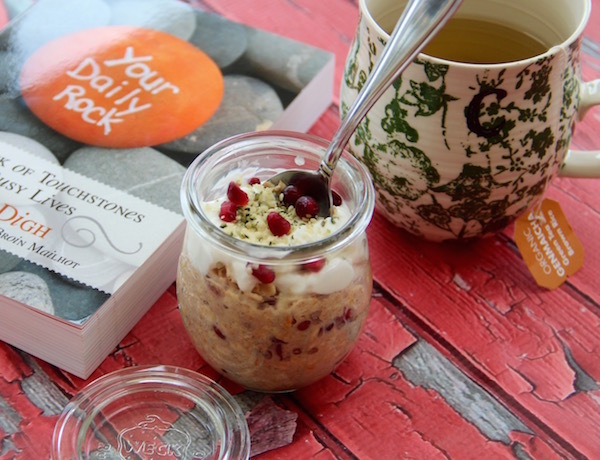 Overnight oats are best eaten within the first 12-24 hours though can keep in the refrigerator for up to 2 days.